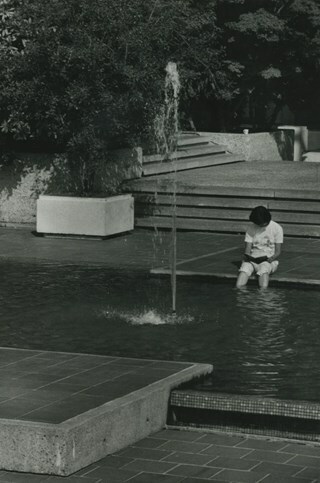 629 records – page 1 of 13. 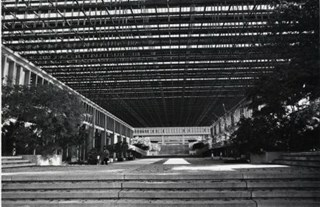 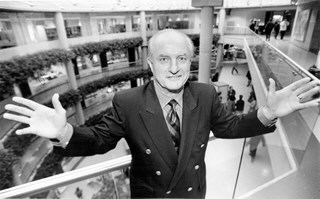 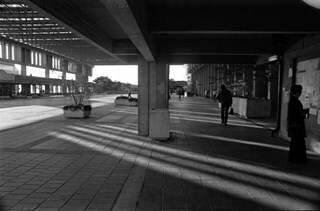 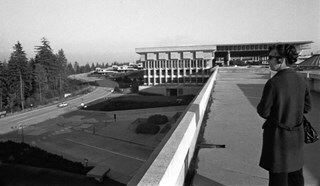 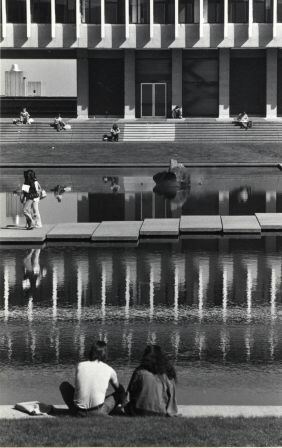 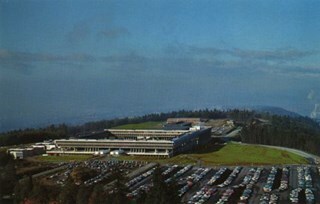 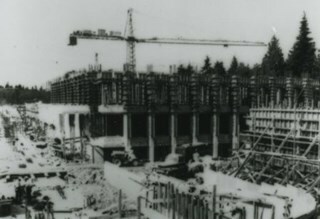 Photograph of an unidentified man standing inside Simon Fraser University (SFU). 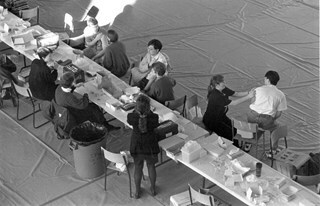 Note in black and blue ink on recto of photograph reads: "Bartel Bby 2609 / 40% Bby 8"
Photograph of people receiving shots at a temporary immunization centre at Simon Fraser University after an outbreak of measles. 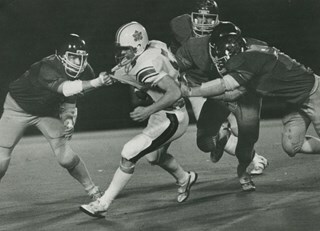 Note in black ink on recto of photograph reads: "Bby 277 B Brian"
Photograph of a Simon Fraser University Football player still on his feet as four members of the opposing team attempt to gang tackle him. 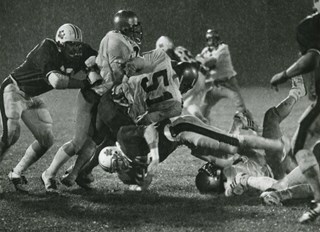 Photograph of the Simon Fraser University Football Clan involved in a scrum on a wet, rainy field. 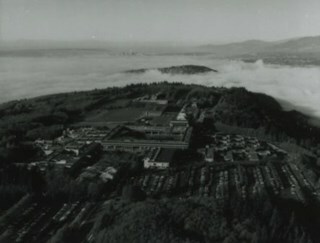 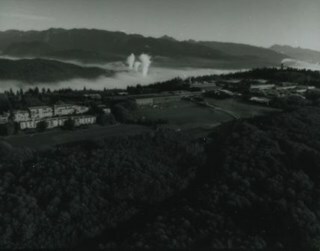 Photograph of a Simon Fraser University football game. 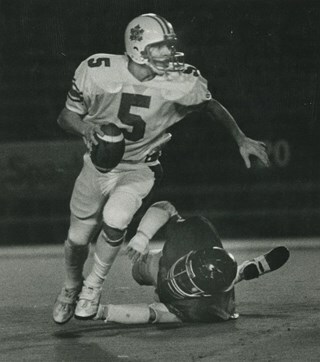 Simon Fraser has possession of the ball. 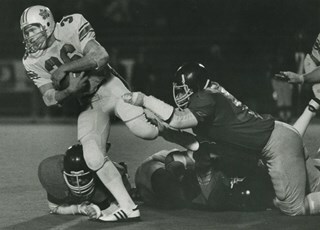 Note on verso of photograph reads: "SFU Football 1981"
Photograph of Simon Fraser University's football players Dan Rashovich (700 and Dan Jellema (52) successfully causing a fumble, with a recovery by their teammate Paul Tiffin. 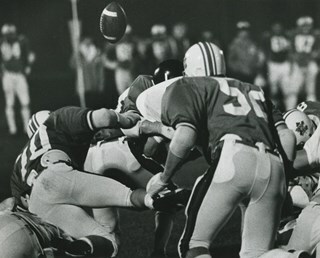 Note on recto of photograph reads: "Another fumble recovered for 50 yard TD that was called back"
Note on verso of photograph reads: "Pressure by SFU's..."
Newspaper clipping accompanying photograph reads: "Pressure by SFU's Dan Rashovich (70) and dan Jellema (52) resulted in fumble which was recovered by teamate Paul Tiffin." 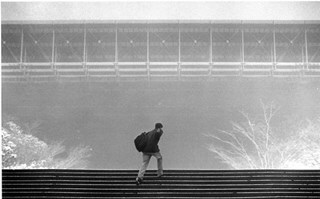 Photograph of a student walking up steps at Simon Fraser University on a foggy day. 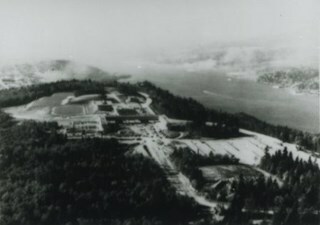 Note in black and blue ink on recto of photograph reads: "Bartel Bby 185 / 103% Bby 9"
File consists of papers pertaining to Simon Fraser University (collected by Evelyn Salisbury) including newsletters, newspaper clippings and brochures. 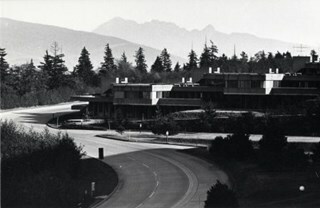 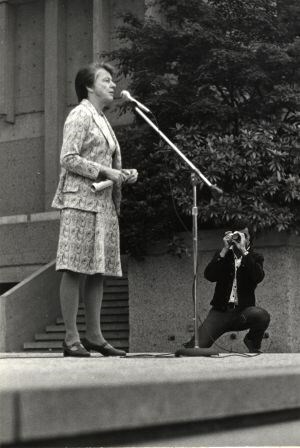 File consists of papers pertaining to Simon Fraser University (collected by Evelyn Salisbury) including newspaper clippings and brochures. 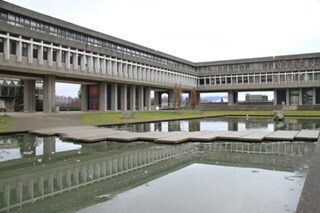 Item is the "1965 / 66 Simon Fraser University / Volume 1 / Charter Edition" school annual. 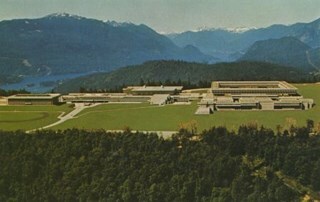 Item is the "1966 / 67 Simon Fraser University / volume 2" school annual. 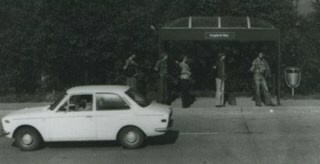 Photograph of a line of Simon Fraser University students hitchhiking beside a bus shelter. 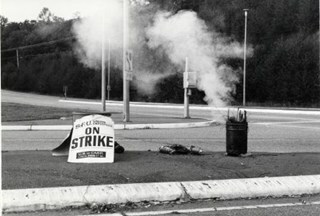 The bus shelter sign reads, "Gaglardi Way." 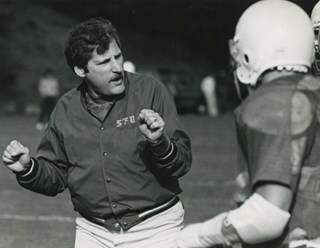 Photograph of a Simon Fraser University Football coach giving orders to one of his players. 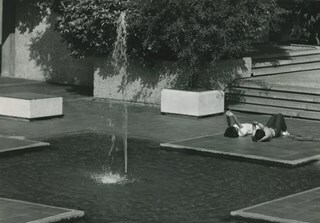 Photograph of a Simon Fraser University player sucessfully evading a gang tackle during a football match. 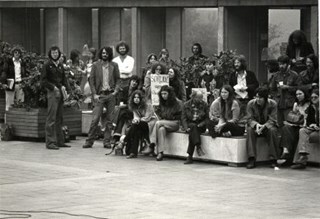 Photograph of "Professor Mordecai Briemberg speaking at a Simon Fraser University student teach-in called to protest the splitting of the political science, sociology and anthropology department. 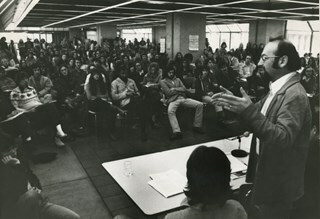 Professor Briemberg was fired from his post in the PSA department." 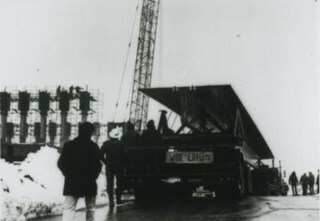 (according to newspaper clipping attached to verso of photograph). 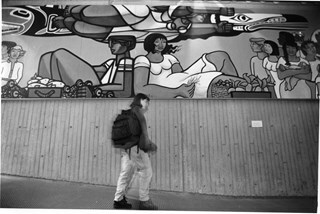 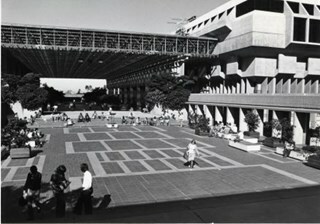 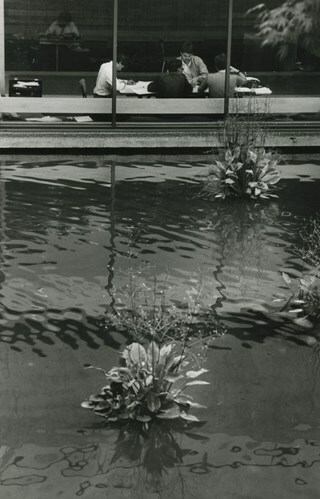 Photograph of an unidentified woman walking by the "Arrivals and Encounters" mural at Simon Fraser University. 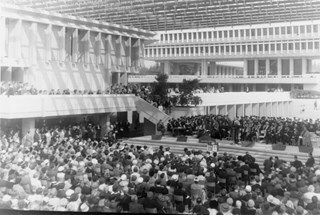 The mural made its debut at the Vancouver Folk Festival in 1986, for Vancouver's Centennial. 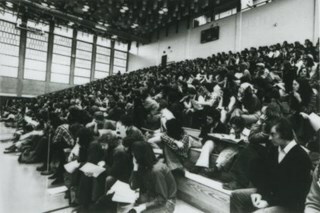 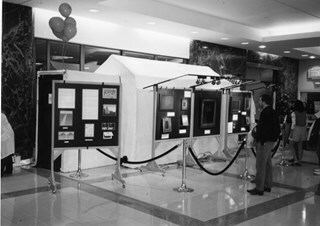 Note in black ink on recto of photograph reads: "821 Bby Mario / Bby/NW - 3 - 71%"
Photograph of people looking at Simon Fraser University (SFU) physics department's Open House display. 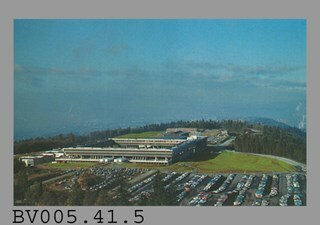 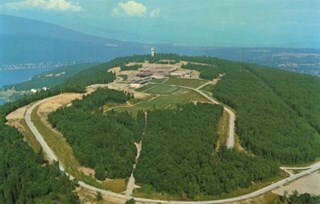 Note in black ink on verso of photograph reads: "Photo 1"